How could Cagney be gutsy enough to do that? How could the studio allow the risk? There’s a story behind that and it too is on the Internet. The director didn’t know and Cagney never rehearsed it! What’s on the screen is take one! Here’s where the Internet shines. It contains everything! Seriously. Yesterday I watched a conversation on Twitter about “Yankee Doodle Dandy” being number 100 on the American Film institute’s top-100 movies of all time. That reminded me of a specific scene and of course it’s on YouTube which means it’s embeddable here. If you’re not using the Internet as the world’s finest reference source you’re leaving cash on the table! But I digress. 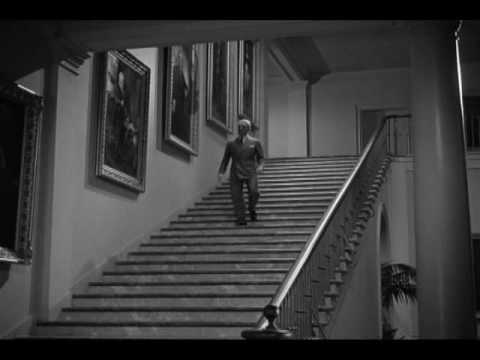 I found the scene with Jimmy Cagney tap dancing down a staircase at the White House from Yankee Doodle Dandy and watched it… and then watched it again… and then again. I know the film well because when I was a kid Channel 9 in New York City would play it twice a day for the entire July 4th week on Million Dollar Movie. Ann Nyberg and I discussed this tonight at the TV station. She rightly points out back in those days a good story like the one Cagney told might be cut from whole cloth to add a little spice to a movie’s promotion. Maybe so, but I’m going to believe it anyway. This 13 second clip might be the most ambitious and dangerous dance ever put on the screen. When I was a kid, I’d watch Million Dollar Movie on WOR-TV Channel 9. Million Dollar Movie (in an era when $1,000,000 was a big deal) played the same movie for a week, each and every day. When there was a good movie, I’d watch it as often as I could. Every 4th of July they showed Yankee Doodle Dandy with James Cagney. I’m sure if I saw it today, I’d remember much of the dialog. One of the movies they played was “The High And The Mighty”, starring John Wayne as an airline pilot with a crippled plane flying just past the ‘point of no return’ between Hawaii and San Fransisco. Flight attendants are stewardesses, passengers – geese, and the former knows the name of each of the latter. “The High and The Mighty” was my first airplane disaster movie. I was hooked. It was obvious the plane wouldn’t crash… and still it held my interest and it still holds my affection. I love airplane disaster movies! This sets the stage for what I watched tonight on Encore Action, one of the many 2nd run movie channels included in our basic digital package. Synopsis: A jumbo jet’s crew struggles to land safely after a severe midair collision.